The College of Engineering and Computing at Florida International University (FIU), has appointed Dr. Ranu Jung as the Wallace H. Coulter Eminent Scholars Chair of Biomedical Engineering and Chair of the Department of Biomedical Engineering starting in January 2011. Professor Jung is a leader in the rapidly expanding fields of Neural Engineering and Computational Neuroscience. Established in 2003 with a generous endowment from the Wallace H. Coulter Foundation and matched by support from the State of Florida, the department is the largest and most active biomedical engineering unit in Florida and a prime resource for education, training and research in this field. The department has close ties with the new Herbert Wertheim College of Medicine at FIU and with many industries in South Florida. Through a professorship in neuro-engineering and an endowment from the Ware Foundation, the department has a very active collaboration with the Miami Children’s Hospital, one of the best in the nation. The biomedical engineering department prides itself on its support for innovation and entrepreneurship. Its undergraduate program, which was accredited by ABET in 2006, encourages scientific curiosity and research through Weldon Endowed Excellence Scholarships for exceptional undergraduate students. Coulter fellowships for innovation are provided to young postdoctoral investigators who aspire to a career in biomedical engineering research and development with a focus on translational research. Faculty-industry collaboration is seeded through a competitive Technology Innovation Program. The young department has filed 20 patents in the last 5 years and has been awarded one. Dr. Jung comes to FIU from Arizona State University where she is the Director of the Center for Adaptive Neural Systems – a multi-disciplinary center approved by the Arizona Board of Regents. She is a tenured faculty member of the School of Biological and Health Systems Engineering, and is affiliated with the School of Electrical and Energy Engineering and is also a member of the graduate faculty of the Neuroscience and Applied Mathematics doctoral degree programs. The prestigious “New Florida Scholar’s Boost Award”, a Florida state program to attract nationally recognized faculty in health/engineering, has been recommended for Dr. Jung. “I am honored to have the opportunity to lead a dynamic and enthusiastic biomedical engineering department and a new research group that is truly integrated with the medical and health sciences. BME students, staff and faculty at FIU are ready to rise to new challenges and aspire to the “Worlds Ahead” vision of the University. The time is ripe for innovative education of tomorrow’s biomedical engineers and for knowledge discovery in signature areas of excellence that have translational research and development as a hallmark. BME@FIU will build a growing wheel of impact that expands across the region, state, nation and the world” said Jung. Jung has been an entrepreneur and a leader in establishing academic-clinical-industrial partnerships in neural engineering and computational neuroscience research. She is actively engaged in the development of neurotechnology that is inspired by biology, is adaptive and could be used to promote adaptation in the nervous system to overcome neurological disability or trauma. Of special interest to her are biomimetic and biohybrid living-hardware systems for sensorimotor control. She currently leads a Bioengineering Research Partnership that is funded through a multi-year award from the National Institutes of Health. With this partnership, she and her team are developing a novel, fully implanted neural interface between a myolectric prosthetic hand and peripheral nerves of below-the-elbow amputees. This translational R&D effort will deliver a unique neural enabled-prosthesis that provides sensation to users of prosthetic hands into clinical practice. Patent-pending technology includes novel electrode designs and methods of communication. As President and co-founder of Advensys, LLC she received Phase I and II funding from the US Army to develop powered lower-limb splints for evacuating injured soldiers from the urban battlefield. This patent-pending technology also has promise for providing “crutch-free” walking after ankle injuries. Jung received her PhD in biomedical engineering from Case Western Reserve University in 1991. She also holds a master’s degree in biomedical engineering from Case and a bachelor’s degree with distinction in electronics and communications engineering from the National Institute of Technology, Warangal in India. With a body of published work which includes peer reviewed articles, book chapters, and conference papers, she is a frequently invited speaker. Her honors include a National Research Service Award from the US National Institutes of Health, a N.E. Ohio American Heart Association fellowship, the 2002 Science and Engineering Award, Governors Certificate of Recognition from the Commonwealth of Kentucky and appointment by the Arizona Governor and Senate as Commissioner to the Arizona Biomedical Research Commission. Jung’s professional service includes membership on several advisory and scientific review panels for the US National Science Foundation, the US National Institutes of Health, NASA, US-Israel Binational Science Foundation, Arkansas Science and Technology Authority and other international universities and funding agencies. 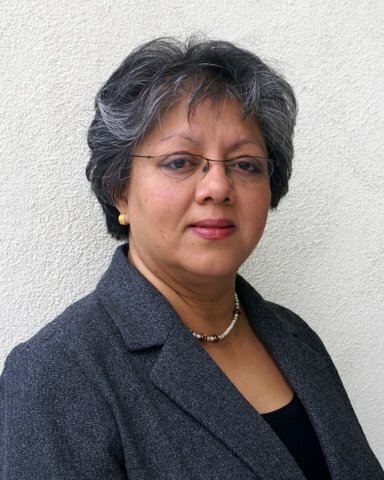 She served a multi-year term as elected President of the Organization for Computational Neurosciences, Inc., which is an international organization that serves the global community of computational neuroscientists. She is an elected Senior Member of IEEE and the Society of Women Engineers and serves on the board of Rocky Mountain Bioengineering Sympoisum, inc. She is also Associate Editor for the journals IEEE Transactions on Biomedical Engineering, Neural Networks and Review Editor for Frontier’s in Neuromethods.